High-Performance Computing (HPC) is essential in meeting the demand for increased processing power for future research and development in many domains, such as aircraft and automotive design or multimedia. The goal of the ITEA project H4H (Hybrid for HPC) was to provide a highly efficient, hybrid programming environment for heterogeneous computing clusters to enable easier development of HPC applications and optimise application performance. The project also aimed at providing a new infrastructure for HPC cloud computing and a new cooling technology to reduce energy needed to operate the HPC system. 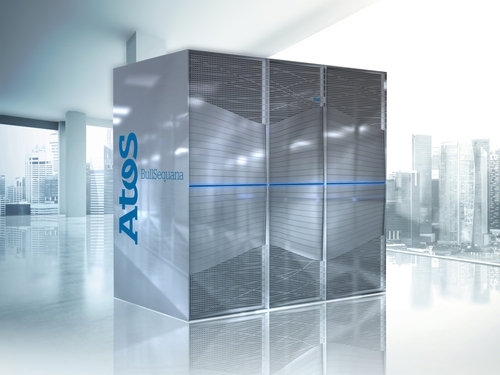 The H4H project assembled a consortium of Supercomputing Centres and HPC Research Labs, a European HPC manufacturer, HPC software tools editors and a range of HPC users to validate the proposed technology in real applications from various domains. Key to the technological progress achieved were the extensive collaboration and workshops in which the partners engaged to develop and test the various technologies, customisation and optimisation options, and ultimately produce significant innovations to all the H4H technology components. Support was improved for heterogeneous architectures (GPU / Xeon Phi) along with portability for the various types of architectures. New programming approaches (e.g. OpenACC, OpenMP 3.0 tasks, PGAS), faster ITEA Success Story development phases for applications developers and better use of application resources for an energy-efficiency objective were released or improved along with a new promising cooling technology for future extreme computing needs. If the proof of the pudding is measured in the eating, then the recipe developed by the H4H project has resulted in a range of technological outcomes whose benefits will be felt from research to industry and, as a consequence, by society in general. The H4H project made important contributions to the Bull Exascale Program, which aims to design and develop the next generation of supercomputers that will contribute to producing world-class solutions for both research and industrial purposes. H4H contributions were packaged within the Bullx Super Computer Suites 4 & 5. In 2015, Bull launched Sequana, an open range of supercomputers that is ready to support future Exascale technologies, which will make it possible to process a billion billion operations per second. Bull/ATOS cooperated with EADS Astrium in a new advanced cooling design solution based on diphasic thermal exchangers and saw 0.144K/W achieved on a target of 0.17K/W against a State-of-the-Art of 0.22K/W. Bull benefited from these H4H developments as the new cooling technologies lead to new cooling improvements in the Sequana commercial range, currently being sold as Bull Sequana X offer, in which the X1210 blades integrate the latest Intel's Xeon Phi technologies. The research and development emanating from such projects have attracted customers through the years and gained new entrants. CEA, CINES, SurfSARA, STFC, ZIH-TUD are among the major customers, accounting for several million euros. The H4H project has left its mark in the European HPC activities not only on the business side but also on the technological and community side. During the project, H4H project partner RECOM achieved performance improvements of its 3D combustion simulation software, enabling the company to benefit from extremely fast software that can perform a large number of simulations to parametrise new models and verify accuracy. RECOM reduced the simulation time for furnace optimisation from 12 to 1.5 hours, a big achievement as modelling and repeated simulations allow the best values to be found to optimise production and prevent slag growth. This is important because slag growth can cause an unexpected outage of the furnace, which will require several weeks for repair and can easily lead to more than €5 m of loss of earnings with respect to the electricity that cannot be produced but has already been sold by the energy companies. With a major shift taking place in Europe, shortly after the H4H project, from coal-based to renewable power generation, the results of the H4H project have enabled RECOM to make the necessary transition from traditional contracts in the coal-based power generation sector towards other industrial sectors within less than two years, allowing the company to recover more than 50% of lost turnover and stay in business. The H4H project has enabled Efield to drastically improve the performance of its electromagnetic solvers to successfully address the industry's evolution towards higher operating frequencies, complex materials and increased density of ICT equipment. Being able to handle larger complexity (5 to 60 million of unknowns), has allowed cars and planes to be more efficient and safer. The result of the performance improvements was (and still is) a highly competitive software package for electromagnetic analysis in the wireless communication and defence industry. In the last year of the project, a record contract was closed with a major Asian service provider for defence industry resulting in a 50% increase in revenue. Efield is now part of a larger group, ESI Group, leader in software simulations tools. For Dassault's Computational Fluid Dynamics (CFD) software, the D&C (Divide & Conquer) work with proto-applications, started in H4H, was confirmed and led to improvements in Dassault's software, both in terms of scalability (almost perfect at x 16 cores) and overheads in memory and storage (same performance with 16 times less Message Passing Interface (MPI) blocks). For Dassault's Computational Electromagnetic (CEM) software, capitalising on notions like data locality and asynchronicity developed during H4H + Perfcloud extension, a novel asynchronous message-passing scheme was implemented which lead to a 60% - 80 % improvement of the MPI communications. Based on H4H, CEA improved its CEA Computing Complex infrastructures in terms of computational power and energy efficiency. One of the CEA laboratories, CEA-LIST, also signed a commercial contract with the “Gendarmerie Nationale” for its image-based stolen object retrieval. The contract is still ongoing in 2018 evolving to other types of recognition features. The H4H results have enabled the German SME INTES to reduce the simulation time from 6 days to 2 hours, for the analysis simulations of noise, vibration and harshness of vehicle bodies. Thanks to the valorisation of its work and involvement in the H4H project, partner Jülich Supercomputing Centre got the opportunity to work in a Siemens-funded collaboration (2014- 2015) together with the Corporate Technology Multicore Expert Center of Siemens AG on runtime analysis of parallel applications for industrial software development. On the basis of H4H, Scilab Enterprises developed and released two major improvements in the use of HPC with Scilab, its Open Source software for numerical computation. During the H4H project, Scilab Enterprises worked closely with industrial partners to share expertise in the use of their products, to provide updates or new implementation for functions required by domain-specific applications, resulting in improvements for industry. Scilab Enterprises has also been acquired by ESI Group. Several H4H improvements have also been integrated in open source code releases (SLURM, MAQAO, FoREST, UtoPEAK) like the MAQAO (Modular Assembly Quality Analyser and Optimiser) performance evaluation framework developed by the University of Versailles Saint-Quentin-en-Yvelines (UVSQ). This was enhanced by Xeon Phi support, which is a major advancement in performance and compatibility designed for highly-parallel workloads. MAQAO is being exploited by Bull, CEA, Dassault Aviation and Intel. With MAQAO, partners were able to monitor the performance of their applications, detect hotspots and have recommendations, enabling them to globally improve the performance of their applications running on heterogeneous infrastructures. As a concrete example, Dassault was able to improve the data locality in their DEFMESH use case and got a 2x speedup for matrix assembly (on Intel Xeon Phi KNC, 2015). Improvements made in FoREST and UtoPeak resulted in an average 20% gain in energy efficiency at less than 5% loss in performance. H4H has had a significant impact on the HPC market by being state-of-the-art, closing the gap from the simulated to the real world and making HPC technologies more accessible.